“Quality of life” is a term used frequently when discussing someone’s vision of their current and future state. The CDC acknowledges it is challenging to measure the term “quality of life” as this can be defined differently by nearly every individual, group, organization, and academic discipline. Health is one of the key dimensions of overall QOL, along with jobs, housing, schools, and neighborhoods, culture, values, and spirituality. Clinicians and public health officials have used HRQOL and well-being to measure the effects of chronic illness, treatments, and short- and long-term disabilities. Improving these aspects are critical to enhancing one’s current, day-to-day condition and future, overall situation. Post-acute care organizations are realizing how a virtual care communication platform can benefit both a patient’s HRQOL and overall QOL. 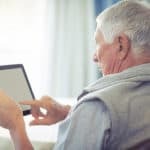 Virtual visits and scheduled email/text/SMS messaging are dynamic tools to help at-home patients – especially those suffering with chronic conditions – to remain engaged with their home health providers. Improved patient education access to information about one’s condition and treatment plan. 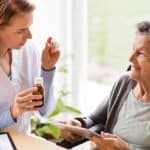 Enhanced social connectedness between the patient and home health provider as well as amongst the patient, a family caregiver, and the home health provider. Increased patient and family participation in short-term and longer-term care planning. 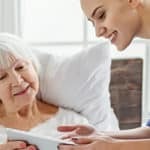 Better ability of patients and family caregivers to convey the patient’s day-to-day health-related situation outside of the traditional home visit. Greater satisfaction for all (patients, family, and home health clinician) with the timing, frequency, and method of care delivered. A balance of in-person and virtual visits, along with an ongoing series of communications, helps these patients (and their family caregivers) feel less socially isolated, improving their HRQOL while reducing the risk of unnecessary and costly readmissions.